Jay R. Jolliffe is General Counsel and Secretary of Roush Enterprises, Inc., and its multiple subsidiaries. In this capacity, Mr. Jolliffe is responsible to the CEO and the Boards of Directors for oversight of Roush’s legal, compliance and risk management functions, including managing Roush’s internal legal department and outside counsel. In addition, Roush’s human resources, employee benefits, recruiting and payroll functions roll up under his direction. Mr. Jolliffe joined Roush Industries, Inc. in 1994, as Corporate Counsel and in 1996 was promoted to Assistant General Counsel. He became General Counsel and was appointed to the Executive Committee of Roush Industries, Inc. in 2000. 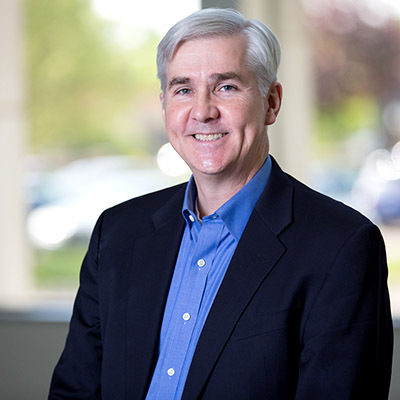 Since 2002, he has served in his current positions as General Counsel and Secretary of Roush Enterprises, Inc. and all subsidiaries Mr. Jolliffe is a member on Roush Enterprises, Inc.’s Steering Committee. During his tenure at Roush, Mr.Jolliffe has been an active participant in the planning and execution of Roush’s growth strategy through expansion, acquisitions and joint ventures. Prior to joining Roush, Jolliffe was employed as an attorney at the Law firm of Damm and Smith PC (subsequently known as Damm and Tauscher PC) in Detroit, MI, where he worked on a variety of corporate and litigation matters for the firm’s business clients, including Roush.